This guide to hotels in Los Roques will help you understand your options for where to stay when you visit the Archipelago Los Roques, off the coast of Venezuela. What are Los Roques Posadas? 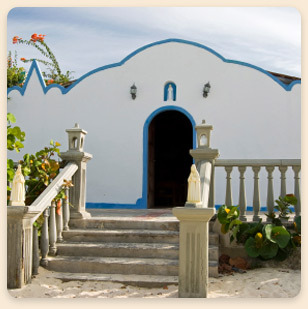 Most people looking for a hotel in Los Roques choose to stay in a Posada. These small, independently owned and operated hotels and lodging areas feature beautiful architecture inside and out, excellent service, an authentic atmosphere, and reasonable prices. There are close to 100 Posadas or hotels around the Los Roques islands that will offer you a wide range of amenities and prices to choose from. The hotel rooms in Los Roques range in price, depending on where you’re staying, the amenities found in your hotel room, and other unique features of the hotel. Most hotels have staff that speak Italian, English, and Spanish to help tourists from all over the world feel comfortable and at home on this island paraside. For example, rates at the Posada in Gran Roques cost about $60 per person, per night, and included an Venezuelan breakfast. Another hotel in Los Roques, the Posada Bar and Restaurant, cost $85 per person, per night are located right off the beach and features spacious rooms with private bath rooms. You should also make the time to visit El Canto de la Ballena. They have a great restaurant right on the beach where you can enjoy a romantic dinner overlooking the water in Los Roques. well-secured hotel rooms featuring all the comforts from home, including DirecTV satellite to watch all your favorite shows. $55 – $100 per night with beach-front property, or Posadas just off Los Roques famous beaches. You’ll also be able to find plenty of hotels with 24-hour electricity, indoor restaurants, roof-top decks, and much more. price. And, the Posada’s privately owned sailboat will take you to the nearby keys, where you can enjoy sailing, or bone fishing. Some hotels in Los Roques even offer rental equipment and schools for kite surfing, diving, and other fun and relaxing activities. Prices for a Hotel in Los Roques can change weekly. One of the best things about staying in one of Los Roques’ Posadas (Hotels) is the food. 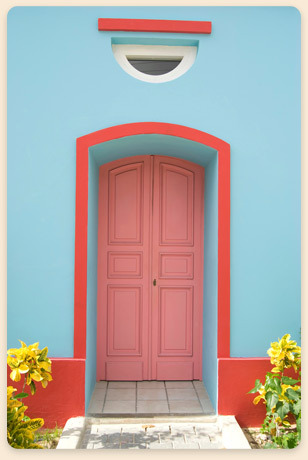 Each independently owned and operated Posada takes pride in the food that they serve, because the food is an extension of their identity and reputation. The meals at El Canto de la Ballena are a mix of international and local Venezuelan cuisine that’s considered some of the best food in Gran Roque. offer a mix of authentic Venezuelan food, as well as Italian dishes that will make you feel like you’ve traveled to Italy.